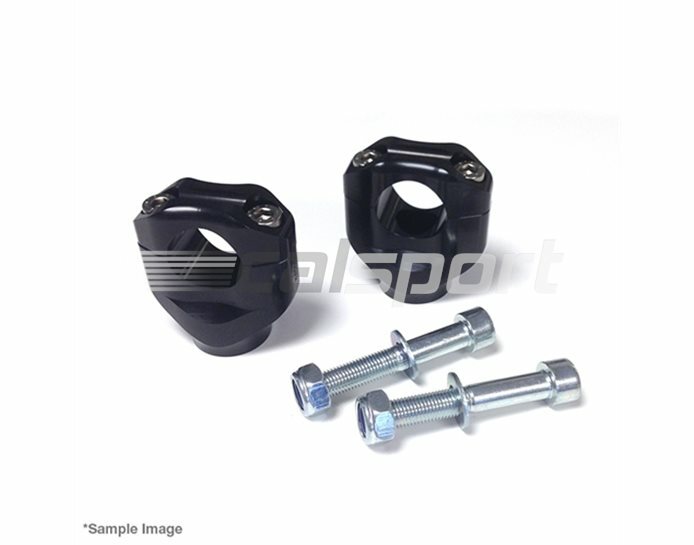 CNC machined from high quality alloy billet to replace standard handlebar clamps and convert from 22.2mm to 28.6mm bars. The appropriate handlebars are NOT included with the clamps and should be ordered separately. For mounting use the original attachment points with centric located M10 x 1.25 mm screws; the existing rubber mounting remains. Please select below which wishlist you'd like to add the product to.